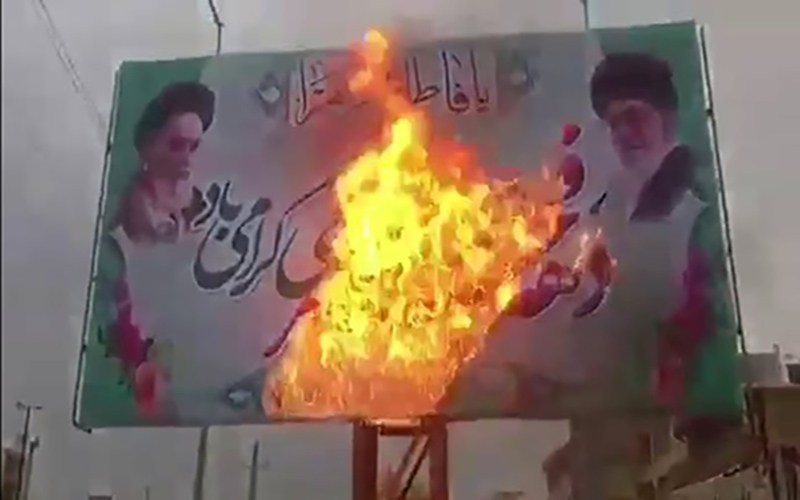 The latest uprising began in December, with hundreds of people in Mashad coming out to protest a draft budget that proposed cutting subsidies for the poor in order to increase military spending. The protest spread quickly across the country and soon 142 cites in all 31 Iranian provinces were taken over by anti-government demonstrations. The people in Iran have made their feelings clear. They do not want the mullahs in charge, as they have only ever stolen from the people to fund proxy wars, weapons of mass destruction, and then murdered the people who called them out on it. The protesters, fed up of living in abject poverty while the mullahs live like kings, have called for the deaths of President Hassan Rouhani and Supreme Leader Ali Khamenei. The people want change and they will get it. The mullahs responded to the legitimate demands of their people by sending in the Revolutionary Guards Corps (IRGC), a security force loyal to the Supreme Leader, who arrested over 8,000 people in January alone and shot dead 50 in the streets. But this didn’t crush the protests – it actually spurred them on by giving the people more reasons to hate the rule of clergy. To give you just one horrific case of the mullahs’ reaction to the people’s protest, they executed a Sufi bus driver for the supposed murder of three police officers during a protest against Iran’s abuse of the Sufi community. But Mohammad Salas had already been arrested and was in custody by the time the officers were run over. His “confession” was extracted under torture, when his fingers, ribs and teeth were broken, and later recanted. His body was buried in a secret grave by the tortures of the government to prevent it being examined for signs of torture. Unfortunately, this is not unusual under the mullahs. The world needs to condemn the mullah’s brutality as the US has and the EU, who pride themselves on human rights, should really step up to the plate rather than try to save their trade deals with Iran. The Iranian Mullahs dictatorship, which is despised by the people of Iran, can’t continue and it must be taken down by and for the people. When this happens, Iran will institute a democratic government in the form of the National Council of Resistance of Iran, led by Maryam Rajavi, with respect for peace, freedom, democracy, human rights, and a non-nuclear Iran.